Heavy Rain: Game? Film? Art? The relationship between film and video games is a tricky one; while their quality is often questionable, the amount of games that have been transposed into a movie and, on the flipside, the number of games that have been based on film franchises indicates that there undoubtedly a strong bond between the two. With the February release of Sony and Quantic Dreams’ Heavy Rain, exclusively on the PlayStation 3, the cross-pollination of the two formats has moved ever closer. 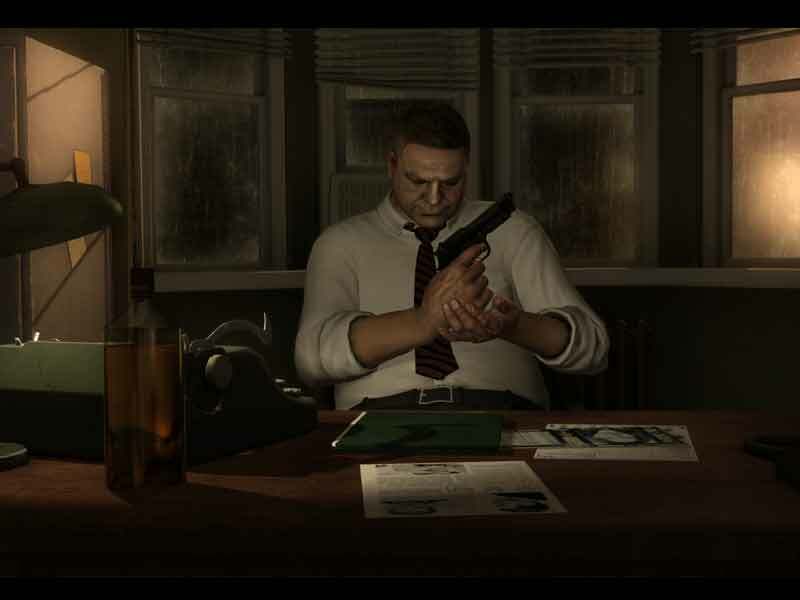 When Heavy Rain was unveiled at the Leipzig Games Convention in 2008 (yep, it’s taken longer than a film to be realised) it was pitched as a game that was taking brave new steps in the industry, both in content – by offering an adult thriller with a complex plot – and in gameplay – the player shapes the story by making the kind of choices that decide how it will unfold. While cinematic in nature, on a basic level it’s more akin to those ‘Choose Your Own Adventure’ books that were so popular in the 1980s-90s. OK, so the characters are archetypes, but they grow on you as the game’s compelling narrative and unique story structure develops. The player takes control of each character in a series of vignettes that range from the mundane – taking a shower – to the more violent – cutting off a finger. The player is presented with various options, both in how to act and in what to say, and these trigger how the story develops – make a wrong decision and this can lead to the death of a character, who then will play no part in the rest of the story. Although the identity of the killer always remains the same, there are multiple story threads and finales that can ensue. To coincide with the launch of Heavy Rain, Neil LaBute made a short documentary, How Far Would You Go?, in which he asked the likes of Nic Roeg, Hanif Kureishi, Samuel L Jackson and Stephen Frears, ‘How far would you go to save someone you love?’ The documentary can be dowloaded for free on the Heavy Rain website. Heavy Rain is far from a traditional game, but to call it an ‘interactive movie’ is not quite accurate either. It’s certainly immersive, like many other games, but where it is at its best is in affecting the player on an emotional level and to a degree that has not really been done before. In that sense, it is closer to a movie than a game. The best films engage, challenge, provoke, entertain and often move the viewer, rewarding them for investing in both the story and/or the characters. Games can do this too, with the added appeal of being interactive – although admittedly games predominantly focus on the challenge and entertainment elements above the emotive or provocative. Few games manage to match the capacity of film to deliver on the above attributes: The Godfather or Scarface games, for instance, are evocative of their source material but fail to deliver the emotional gravitas of the films, providing a visceral and action-orientated experience instead. On this level, Heavy Rain works very well, with the gameplay, narrative and evocative music making it akin to taking part in a dark thriller film; the major difference being that here the viewer is also the narrative’s main protagonists, developing the story as they go. Playing the game, you do feel connected to the characters and having invested in their emotional development you then care what happens to them (often fearing for their safety). The game is far from perfect, and actually works better as a viewing experience than a playing one (perhaps unsurprisingly it has already been optioned for a film), but as a template for how an interactive format can work beyond the often formulaic structure of video games, Heavy Rain is ground-breaking. As the game’s creator, David Cage, told the Guardian website on release: ‘I strongly believe that interactivity has the potential to become an art, it is just a matter of time.’ If Heavy Rain is an example of things to come, then gamers could be in for a thrilling ride. Hop you find it intersting.